Enjoy the top 90 famous quotes, sayings and quotations by Ted Danson. I was at our beautiful home in Martha's Vineyard, near Boston, sitting on the porch looking at the ocean when I got a phone called and was asked, 'Would I like to do 'CSI'?' A week later, I'm at a coroner's office in Las Vegas, participating in a quadruple autopsy. When people are in the midst of really heavy stuff and still have a sense of humor, I admire that. When you have brothers, you learn to be fiercely competitive with someone you love so they won't kill you and you won't kill them. I don't think I'm as educated as Whoopi, so I'm lifting myself to her level. But you know, our view of the world, our view of what we can do, our sense of what it means to be here, are similar. I was three. My father in jest said that he'd tell the doctor to give me a shot if I didn't behave. Good heavens, I have a mental picture of the living room and the doctor approaching the door. I was terrified. Most of us can now record a whole series with the click of a button. We all have DVD players, and the rise of the DVD box-set means we watch this stuff in two, three-hour sessions. So there is this real appetite out there for lengthy, pretty intricate drama. All that is great news for writers. To the naked eye, our oceans are beautiful. 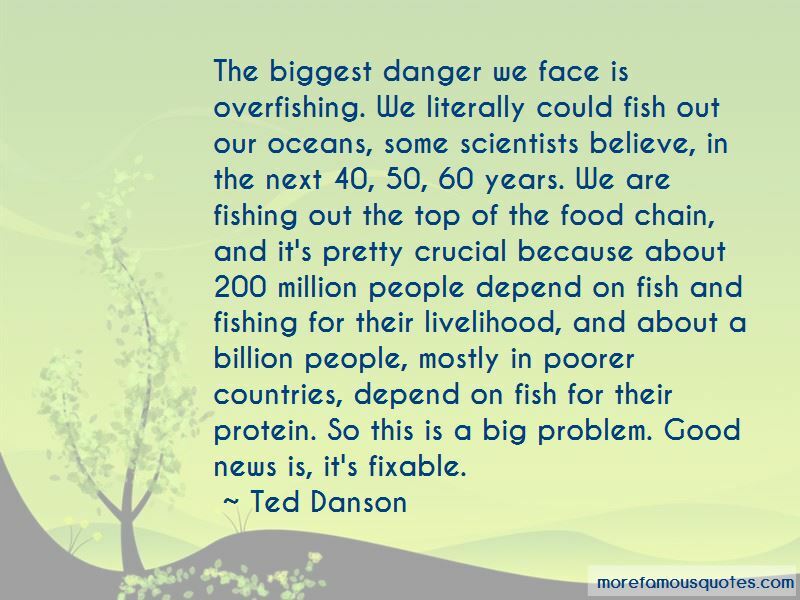 But scientists tell us that all of the world's fisheries will collapse by 2048, unless we change how we manage them. Help protect our oceans so the next generation can also enjoy their bounty. As a people, we value family, education and success. Hunger is an enemy to all three. Scientific studies have demonstrated that even brief periods of hunger can permanently inhibit a child's mental, emotional and physical growth. Kids who are hungry do poorly in school and are unlikely to grow into productive adults. For families, experiencing hunger means living in a world of isolation and shame. Caring citizens must put an end to this disgrace. Want to see more pictures of Ted Danson quotes? 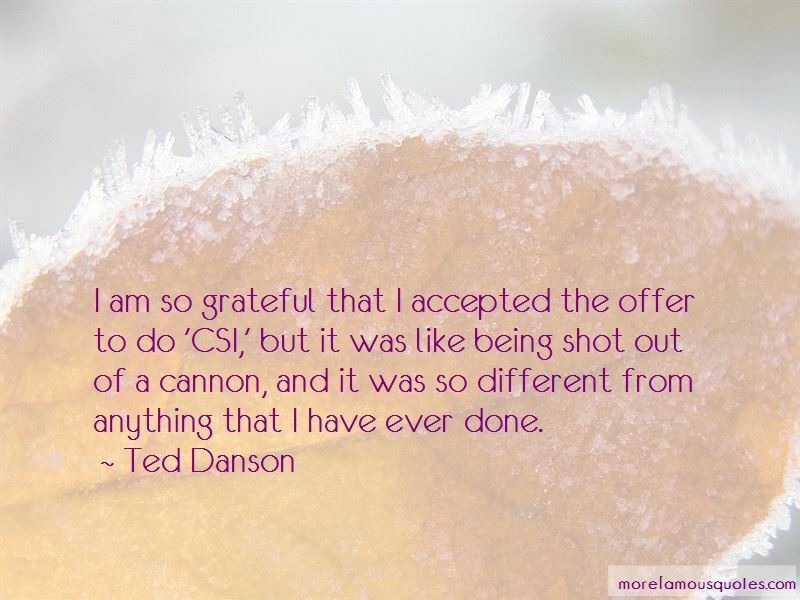 Click on image of Ted Danson quotes to view full size.